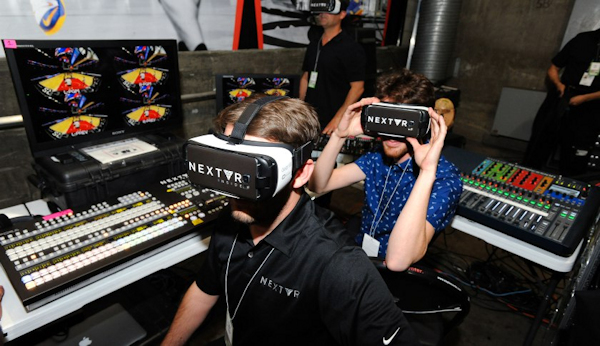 The NBA is getting more serious with virtual reality. NBA Digital, a joint venture between Turner Sports and the NBA that manages the league’s online properties, said that it will broadcast one basketball game a week that viewers can watch in 360 degrees. The first custom broadcast will debut October 27 when the Sacramento Kings play against the San Antonio Spurs. During the broadcast, the NBA will stream the game in 180-degrees, in which viewers can turn their heads to follow the action, while a graphical display of the game’s statistics will be streamed in another 180-degrees to accompany the broadcast. Viewers can watch the first game for free as long as they sign up for a free trial of the NBA League Pass, the NBA’s video subscription service, and have a Samsung Gear VR headset as well as the appropriate Samsung smartphone. Eventually, the NBA will make 360-broadcasts available to the Google Daydream View virtual headset, says Jeff Marsilio, NBA vice president of global media distribution. 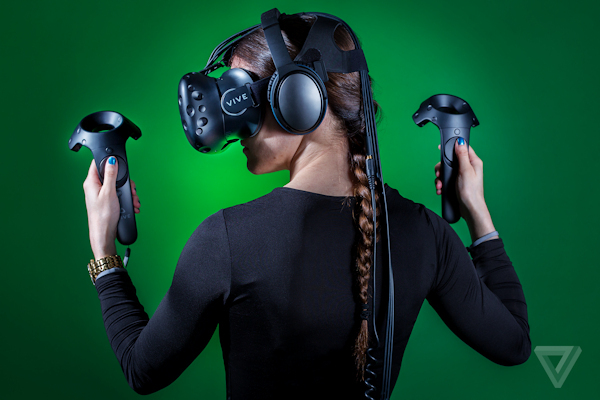 Marsilio adds that it’s “likely” that other headsets like Facebook’s Oculus Rift , the HTC Vive, and the Sony PlayStation VR will be supported. Since IEEE 3DUI 2016, there has been an explosion of new technology that requires 3D user interface solutions. There are therefore many open 3D user interface research questions and more new technologies required. The IEEE 3DUI 2017 Symposium is the conference to showcase your results to the community. For that purpose, IEEE 3DUI 2017 solicits high-quality Papers and Technotes within the scope of 3D User Interfaces. The symposium will last for two days, and will be followed immediately by the IEEE Virtual Reality 2017 conference. Papers (up to 10 pages) should describe original and mature research results and will typically include some evidence of the value of the research, such as a user evaluation, formal proof, or well-substantiated argument. Technotes (up to 4 pages) should contain unpublished preliminary results of research, application, design or system work. Technotes do not have the hard requirement of an evaluation. The presentation of novel research is a key requirement, and this includes (but is not limited to) technology, techniques, and systems. RESEARCH papers should describe results that contribute to advances in state-of-the-art 3D UI, in particular, in the areas of interaction, novel input devices, human-factors, or algorithms. APPLICATION & DESIGN papers should explain how the authors built novel and/or creative 3D UIs to solve interesting problems. Each Paper should include an evaluation of the use of the 3D UIs in the given application domain. SYSTEMS papers should show results that contribute to advances in state-of-the-art 3D UI technology, software or hardware. Papers should describe how the implementers integrated known techniques and technologies to produce an effective 3D UI system, along with any lessons learned in the process, and include an evaluation of the system such as benchmarking of latency, frame-rate, jitter, accuracy, etc. Simply describing a system without providing appropriate measures does not constitute a satisfactory Systems Paper. MuseumNext is a global conference series on the future of museums, taking place in the world’s cultural capitals since 2009. The conference is a catalyst for innovation, transformation and collaboration in museums, galleries and heritage sites, with more than 900 individuals from 32 countries joining us in 2016. Each MuseumNext conference has a theme, around which our community comes together to discuss the future of museums. For our European Museum Conference this theme is inspired by the wish to celebrate those people, ideas and technologies that are changing the landscape of the sector. Leaders and cultural entrepreneurs – shaking up the museum sector, pushing boundaries and ensuring the future success and relevance of museums, galleries, science centres and cultural organisations in which they work. Technology – the use of cutting edge technology in the areas of, interactive campaigns, wearables, virtual reality, augmented reality, gadgets, platforms, games and more in the museum space to engage, nurture and connect. Practice – Innovative work with communities and schools, social engagement with diverse groups, being an ethical museum, raising the significance of the museum in daily lives, connecting and succeeding. Touring – How are touring exhibitions reshaping the museum landscape, what are the business models which museums are adopting to profit from touring. Partnerships – Working together across organisations; in conjunction with individuals, groups, regionally, nationally and internationally, sharing resources, goals and people. 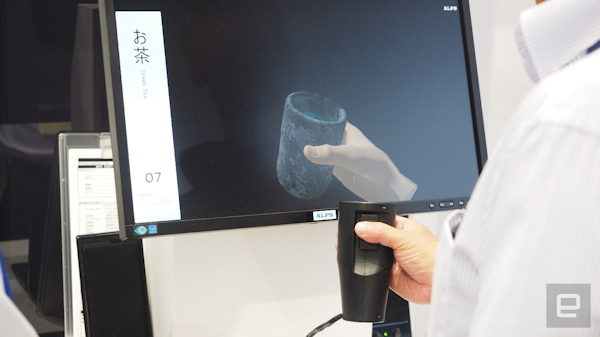 Haptics combined with heating and cooling elements deliver the feeling (if not the taste) of a cup of tea. We would like to invite submissions for paper presentations, performances, workshops and more to the 4th International Conference on Movement and Computing (MOCO) which is to be held in London. MOCO is an interdisciplinary conference that explores the use of computational technology to support and understand human movement practice (e.g. computational analysis) as well as movement as a means of interacting with computers (e.g. movement interfaces). This requires a wide range of computational tasks including modeling, representation, segmentation, recognition, classification, or generation of movement information but also an interdisciplinary understanding of movement that ranges from biomechanics to embodied cognition and the phenomenology of bodily experience. We therefore invite submissions from a wide range of disciplines including (but not limited to): Human-Computer Interaction, Psychology, Dance, Artificial Intelligence, Neuroscience, Sports Science, Machine Learning, Cognitive Science, Visual Arts, Robotics, Philosophy, Anthropology, Music, Affective Computing, Games, Healthcare and Animation. MOCO is open to a wide range of ways of presenting your work. As well as papers for oral and poster presentations, we invite submission of a wide range of practice work such as demos, performances, games, artistic works and movement workshops (in which participants take part in a guided movement activity). We encourage submitters to be creative in proposals for practice sessions and are open to novel formats. 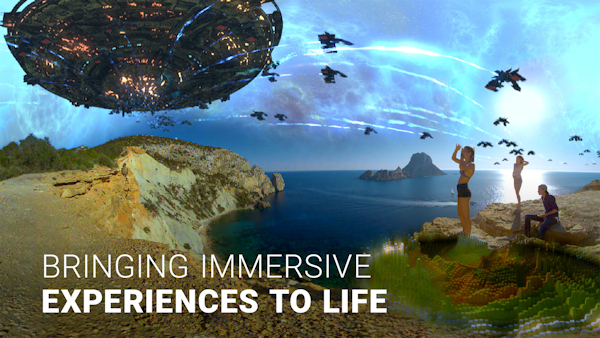 New theme park attraction proves VR isn’t just for videogames anymore. Spend a day at Universal Orlando’s two connected theme parks and you’ll likely be asked to don a pair of plastic 3D glasses. Whether going toe-to-tentacle with Doctor Octopus in The Amazing Adventures of Spider-Man or facing a fire-breathing dragon in Harry Potter and the Escape from Gringotts, most of the parks’ coolest rides rely on an extra dimension to deliver a more immersive experience. Enter the resort’s latest attraction, The Repository, however, and you’ll be asked to put on a far more sophisticated piece of headgear. 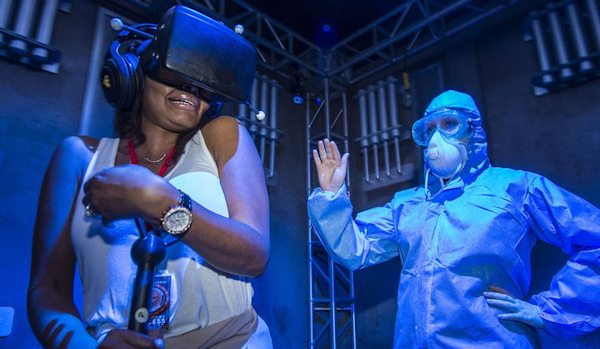 The horror-themed experience—which runs on selected nights through October 31st as part of the resort’s annual Halloween Horror Nights event—puts thrill-seeking patrons under a pair of virtual reality goggles before letting them loose in an alternate, paranormal world.